In trying to cut costs, a lot of people end up quitting the gym and continuing their workouts at home. This is no doubt a good strategy, however there are a few things that need to be kept in mind. When doing a particular exercise, it is not only about the technique of doing the exercise right, but also having the right equipment to do it with. A slack in either of those, could cause serious injuries. When doing sit-ups for example, it is important to note that your back has to be straight, and should not jolt up nor drop down. Similarly, the breathing technique, the positioning of the hands and legs are all very important aspects that need to be paid attention to. Along the same lines, several physiotherapists have suggested that exercises like sit-ups (where you have to lay down on a flat surface) should not be done on the floor, the bed or the couch. It is said to hurt the back muscles more than help any other. 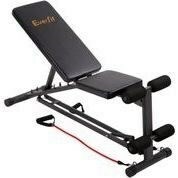 In light of this, we offer you the exercise bench. 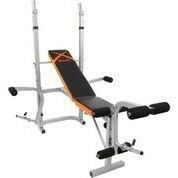 A simple equipment found in all gyms, that provides the appropriate back support for when you are exercising. 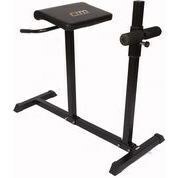 Our range has options of ab benches as well as weight benches - ranging from $54 to $249. Browse through our range and pick the best fit for your body type. For more information, you can also contact our customer service team and they will guide you as efficiently as possible. We also provide shipping services all across Australia. Allow for 7-14 business days for delivery depending on your exact location.